A longer offseason than the Sounders hoped for began Tuesday night with them confirming their general manager will indeed be the one making any player personnel calls this winter. The news that GM Garth Lagerwey had been retained with a 87.3 percent affirmative fan vote in balloting by season ticket holders wasn’t a surprise. Nor was the team’s Alliance Council failing to attract the 40 percent of eligible voters needed to have made any negative result binding, coming in at 37.2 percent. The council and team, knowing it would be close, had made last-minute public pleas back in October – even some in televised spots during games – for season ticketholders to cast their ballots. The vote takes place every four years of a GM’s term and in 2012 saw team owner and then-GM Adrian Hanauer reconfirmed with 96.3 percent support by 41.6 percent of eligible voters. The season ticket base was smaller then, so the total number of ballots cast this time actually exceeded the 2012 count. Alliance Council president Martin Buckley and vice-president Stephanie Steiner made that point and others in defending the need to have the vote. So did Carey, who lobbied for the vote — modeled after what he’d seen with the FC Barcelona team in Spain — as a condition of becoming an owner. Ultimately, with Lagerwey’s team in the midst of a Major League Soccer record 14-2-1 second half turnaround during the voting period to secure a first-round playoff bye, any talk of canning the GM became largely moot. Things weren’t nearly as settled back in June when, after a 3-9-3 start, the Sounders were as close to missing the playoffs as at any time since their 2009 inception. “It’s an honor and a privilege to have been appointed and now elected as GM of the Seattle Sounders,” Lagerwey told the crowd, adding that for him, the season wasn’t a complete success because of last week’s elimination at home by Portland in the Western Conference semifinal. Then again, taking Lagerwey’s entire body of work into account, including a championship in 2016 and reaching a second final in 2017, it’s debatable whether the team would have followed through on any vote to fire him. The “Democracy in Sport’’ initiative idealized by Carey has never truly been tested on the GM front and is structured in a way that it may never be. Having it four years into a GM’s term theoretically gives the Sounders ample long-term evidence of whether their man is doing the job and enables them to do any needed firing long before fans get involved. 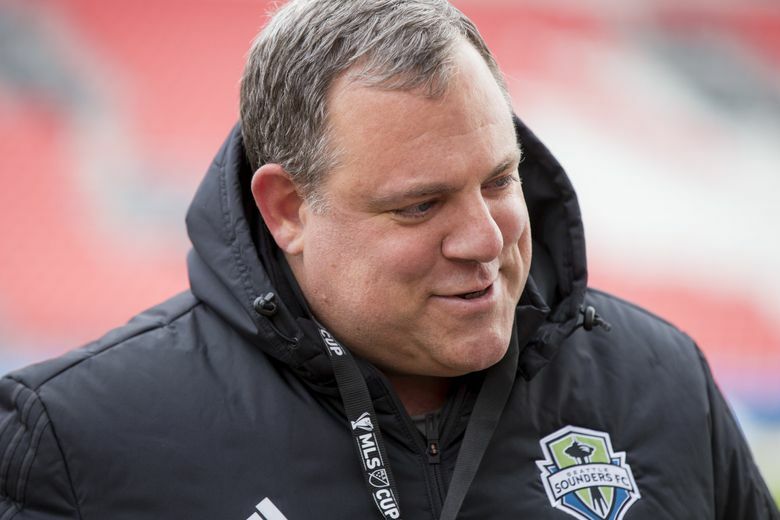 Lagerwey, while hardly perfect, has carried out the vision the team set for him back in 2015 of revamping its youth academies and Sounders2 farm team so they are more aligned with the big club. Also, that he executed an on-the-fly rebuild from a Supporters’ Shield winner under coach Sigi Schmid in 2014 to an MLS Cup champion in 2016 and repeat finalist in 2017 under replacement Brian Schmetzer certainly generated enough Lagerwey goodwill to offset any slow start this year. Despite their loss to Portland last week, the Sounders at least made the playoffs. That’s more than the defending champion Timbers did in 2016, or than last year’s titleholder, Toronto FC, was able to do this year. Where criticism of Lagerwey has resonated is in the Sounders’ inability to start quickly and avoid scrambling for their playoff lives every July. Part of that is caused by the short off-seasons the past two years, which, as noted, prior champions like Portland and Toronto failed to overcome. But this year’s stumbling start was also due, in part, to the Sounders not adding a front-line attacker ahead of the summer transfer window to offset the loss this season of left back Joevin Jones to Europe. Plenty of hope – perhaps too much – was placed in Jordan Morris having a rebound year and went up in smoke when he tore his ACL in the team’s first Champions League match in February. That shouldn’t be an issue next season. The Sounders will have Morris back and they’ve got July addition Raul Ruidiaz locked up long term along with Nicolas Lodeiro. Left back Brad Smith will also be back healthy and playing alongside the ever-improving Nouhou. Even midfielder Victor Rodriguez should be starting the season healthy, meaning the attack shouldn’t be anywhere near the concern it was early this season. Where Lagerwey could be tested is on the defensive side, with an important upcoming call on parting ways with midfielder Osvaldo Alonso and whether he can retain Gustav Svensson longer term. With Svensson back and an abundance of offense, Cristian Roldan can drop back into Alonso’s defensive midfield role. As for central defenders, Kim Kee-hee had clearly usurped Roman Torres by season’s end as the No. 2 guy alongside Chad Marshall. So, it’s up to Lagerwey how he balances that and whether he’ll convince Torres to stick around as the third part of a three-man rotation. Goalkeeper Stefan Frei will be returning for years to come, so it’s really the center back rotation and defensive midfield remaining unresolved. Throw in an off-season of 2½ months – compared to six weeks the past two years – and the Sounders may head in to 2019 as the odds-on favorite for the Supporters’ Shield. At least, that’s what many of the team’s fans were already buzzing about just hours after last week’s playoff elimination. And for now, at least, fans have few qualms about letting Lagerwey take a crack at a better full-season’s performance the next time around.